Mopar OEM Sport Utility Bars Mopar OEM Sport Utility Bars, Mopar Sport Utility Bars, Mopar Roof Mount Kit, Mopar OEM Roof Top Cargo Carrier, Mopar Roof Top Cargo Carrier, Mopar Cargo Carrier, Dodge Magnum Roof Top Mount Kit, Dodge Durango Roof Top Mount Kit, Chrysler Aspen Roof Mount [Mopar 82212352 Roof Mount Kit] - $299.95 : 3rd Strike Performance, Your Source for Late Model MOPAR Performance Parts and Accessories! 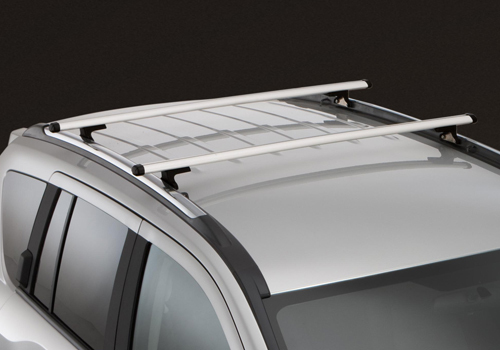 Sport-Utility Bars mount to the original equipment roof rack to expand carrier capacity up to 42" and allow other roof top carriers to be installed with ease. Bars are made of black or brushed aluminum to help protect against corrosion, while T-slots allow for quick carrier installation. These Mopar Sport Utility Bars mount to production side rails and includes T-slots for various carrier installation. Make the most of your vehicle's cargo area by making this purchase today.